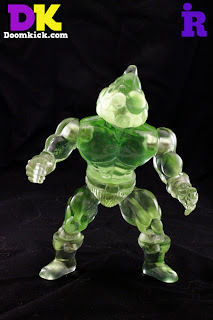 Dr. Rampageo from Doomkick.com sent me a press release this morning about the newest figure in "The Exciting World of Jalldoon", a 5 1/2 inch line designed to fit in with vintage toys like Masters of the Universe or other great modern lines like Warlords of Wor. 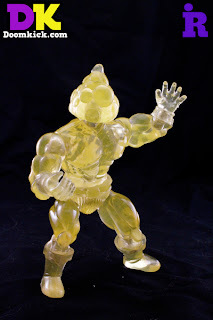 If you've got a thing for figures in this scale or style or just love translucent toys, check these out! The Next Release in Rampageo Industries “The Exciting World of Jalldoon” Line is right around the corner. 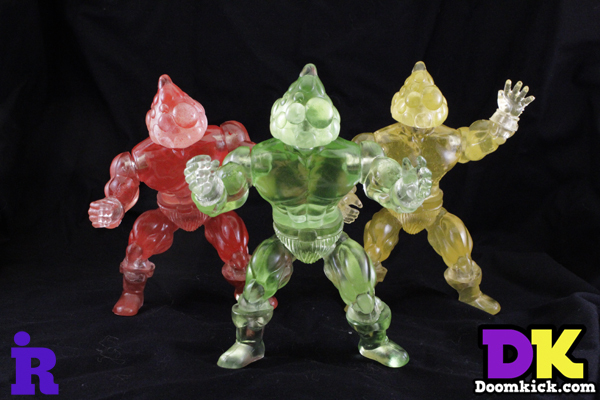 Starting Monday May 20th and running through Monday June 10th you will be able to pre order the plucky Hero Prince Algor in his Heroic form in 3 Translucent colors, Candy Apple (green), Lemondrop (yellow), and Twin Cherry (red). Single versions of the Magnet Articulated figure will be available for $46, and a 3 Pack of all the colors for $115 (all prices include US shipping) in the shop on DoomKick.com. This will be the last time this particular version of Prince Algor will be available. These figures are fully compatible with the Warlords of Wor and other magnetic toys by ManOrMonster? Studios, and previously released figures from Rampageo Industries. 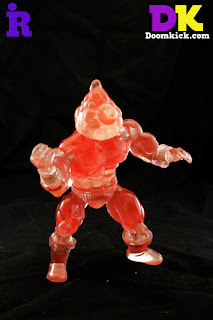 Here's Twin Cherry Prince Algor- he'd go nicely with the Spirit of Hordak, eh?  Thanks for the plug man! Been Busy or I would have been on here sooner!